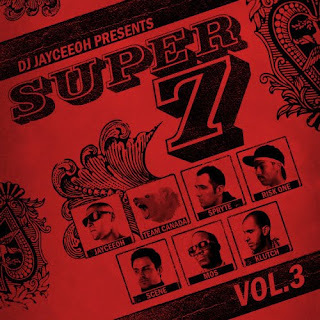 the 3rd installment of DJ Jayceeoh's Super 7 mixtape. Once again he's managed to bottle up UTTER CRAZINESS. This mixtape features 2 of the best DJs out of Seattle: DJ Riskone and DJ Scene. Catch Riskone January 22nd at Wet in San Jose and February 5th at Heat Ultra Club in Anaheim.